I recently got a Sunday morning call from a neighbor who happens to be one of the country’s leading cancer surgeons. He caught an elbow in the nose playing basketball and knew it was broken- it was severely twisted to the left. Fortunately he did not lose consciousness, had stopped bleeding and was able to breathe through the nose. In his kitchen, I was able to put the broken bone back in place with the back of a fork handle-- not a move for the faint of heart!. He ended up doing great, but not everyone has plastic surgeon living down the street. What should you do when you, a friend or family member, or patient if you are a doctor, do about a significant nose injury? The good news is that most nasal injuries do not require surgery and get better with a little ice and time. 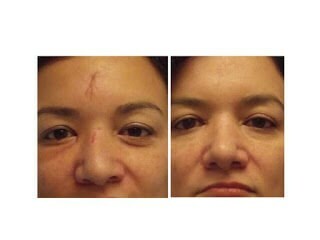 Even most fractures of the nasal bones are not very deforming and do not need surgical correction. The fractures are more like a crack in a china plate, causing swelling and bruising, but not otherwise deforming. 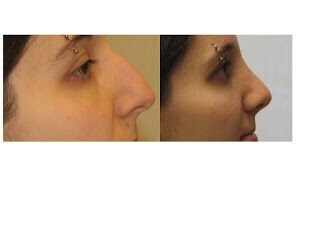 The upper 1/3 of the nose is made of bone, and that is where broken noses occur. 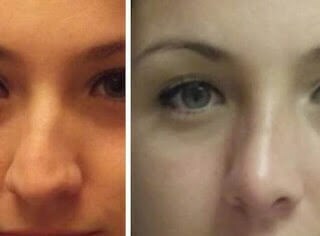 The middle third of the nose is made of bendable cartilage (the septum). It can bend or shift to the side but is less likely to actually break. In the case of a shifted or deviated septum, it is best to wait a few weeks to see if there is lasting airway blockage or curvature, and it can be corrected with surgery, if needed. The only time to rush to the operating room for a fracture is a severely broken nasal bone or septum with active bleeding or major, obvious deformity. It is tough to properly align the nasal bones and shape when the soft tissues overlying the nose are very bruised and swollen, so I tell patients another procedure may be needed down road. When I am asked to treat a nasal fracture, it's important to start by evaluating the whole patient, and not just the nose. Anyone who a has learned basic CPR knows about the ABC’s-- airway, breathing, circulation. These are the first key things to consider in keeping a patient alive in severe illness or injury. In the case of nasal injuries, the airway can be kept open by stopping nasal bleeding with packing in the nose. The treating doctor should briefly survey the patient for more extensive injuries that could result in continued bleeding or inability to breathe. A severely deformed and bleeding nose is alarming to patients and medical staff alike, but one should not get distracted from a complete exam. It would be dangerous to overlook other injuries that are not so obvious-- punctured lungs, ruptured spleens, skull fractures, bleeding in the brain, or stress on the heart can be excluded with a proper history, physical exam and simple testing. If there is any thought of other associated injuries, CT scans and other studies can lead to a diagnosis. When the patient's history and physical DO NOT point to other injuries, such as a direct elbow to the nose in an otherwise stable and healthy patient, then extra testing such as x-rays and CT scans are not needed. They are often done as a matter of routine in Emergency Departments, but are often not necessary and just run up expenses and expose patients to radiation. Fear of lawsuits and the rare miss certainly contribute to over testing in these cases. The diagnosis of a clinically relevant nasal fracture can be done with physical examination alone. And if a doctor is not sure (and sometimes I am not certain about a fracture), it is never wrong to wait 4-5 week for swelling to resolve and re-evaluate the nose for problems and fix it then. Only a small percentage of patients require immediate surgical treatment. When is is obvious that a nasal bone is displaced, then it is quite simple to put it back in place , or“reduce the fracture” as doctors say, by using pressure on the nasal bone from within. Unlike my brave friend who had this done in the kitchen, most require some form of anesthesia to tolerate this procedure. Even when the bone is successfully popped in place, over time, some minor lasting curvatures can persist. These can be corrected in the future if a patient desires. While the initial correction of a nasal bone fracture is quick and relatively easy for experienced surgeon, correcting lasting curvatures and breathing blockages requires more detailed surgery. 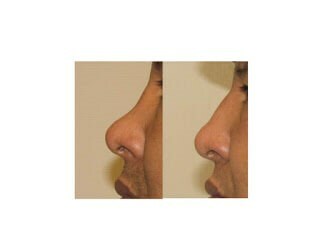 In these cases, the surgeon needs to make sure the nose is straighter from the outside and has open breathing passages. This often requirescorrection of the bone, septum, and upper lateral cartilages. 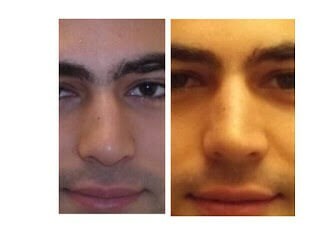 Often patients request other cosmetic changes such as tip narrowing or support, chin augmentation with an implant. 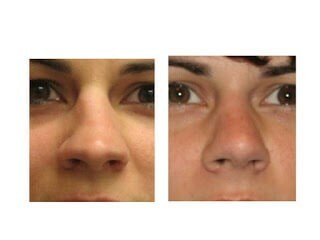 Injury cases are more difficult than a regular rhinoplasty, and patients should expect the results to be an improvement, but never “perfect”. 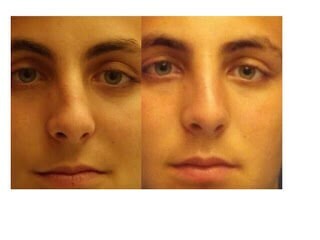 None-the-less, most patients are extremely pleased after repair of a broken nose, both in appearance and improved breathing. Ask your doctor for a referral to an American Society of Plastic Surgeons Member Surgeon if you have any concerns about your nasal shape. Dr. Michael Suzman is one of the country’s busiest plastic surgeons, focusing of both reconstructive and cosmetic plastic surgery. He has treated thousands of patients for facial injuries, deformities and cosmetic concerns. He is based in Purchase NY and Greenwich CT and maintains a teaching position at Weill Medical College of Cornell University in New York City. 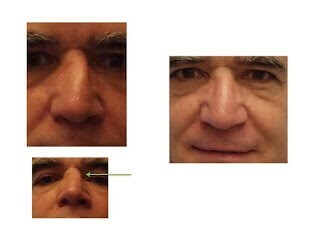 He is certified by the American Board of Plastic Surgery and can be contacted here.